Young Lions & Inspiration Institute were just a dream of Designer, Julia Latoria-Eastwood in 2009. Julia & her husband, Illustrator Peter A. Eastwood were already operating their own very successful Multi-Tiered Art School & Commercial Art Business called Eastwood Expressions . 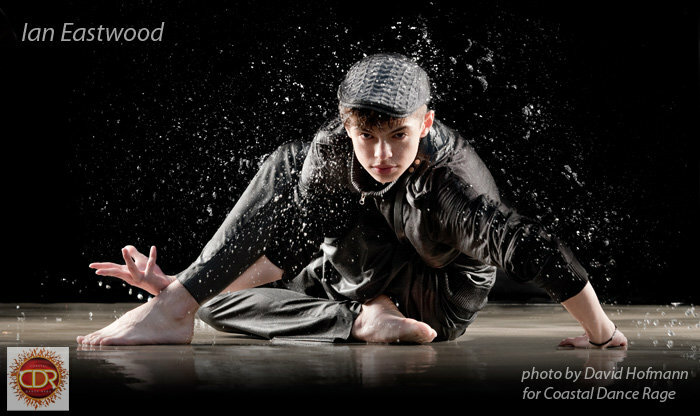 They created the Art School portion of the business (1997-2011) so their toddler son, Ian Eastwood would be ensured a good fundamentally-based Art Education, as they couldn’t find one of quality in their community of Oak Park just outside of Chicago. Peter & Julia had met in Art School, so It was very important to the couple that their son embrace the Arts to help find his true calling . So, one beautiful, warm summer day in 1997, 6 Little Leonardos (including their son) walked into Julia’s “Art in the Garden” class set in their Neverland Children’s Secret Garden she had created for her little boy, Ian . Shortly after her very well thought out 6 wk magical curriculum was over, the word got around & she had 45 new students for the next session of classes called “Art in Autumn”. The School grew in popularity quickly, due to need and quality the of the programs. Julia expanded the school to include a full range of classes from ages 2 1/2 - 16 to accommodate Ian’s growth as an Artist as well as his Father’s desire to teach his son. It was definitely the love for their child and the Arts that fueled the creativity, success and expansion of the business. Peter & Julia exposed Ian to the normal things all parents do, from Baseball to all facets of the Arts & Sciences: Music, Theater, Museums & Travel but it wasn’t until Ian found Dance at age 10 that he declared: “Mama I want to do this the rest of my Life !” He joined a local Dance Studio’s Company where he studied World Dance: Salsa, Merengue, Flamenco, African, Hip Hop and even played Congas. He quickly outgrew that studio, joined several Adult Chicago Hip Hop Crews and began to choreograph & teach for them in the City even though he was the youngest in the crew. To get more control over his body’s unusual movement he studied Ballet,Tap & Jazz at the Amazing Giordano Jazz Dance Chicago and became a member of their Children’s Jazz Company. However, Hip Hop & Choreographing kept pulling him to pursue more training with Industry Choreographers at a Convention called Monsters of Hip Hop where he really blossomed under the tutelage of Marty Kudelka, NappyTabs, Mr. Wiggles, Geo Hubela, Gil Duldulao, Brian Friedman, Dave Scott & Tony Testa. He privately showed them his choreography & in turn they mentored and believed in him. He was nominated at a very young age (14) for their annual show in LA and by the time he actually did the show at 16 he was already teaching and doing small local dance workshops & putting together sets of his own for dance community shows/competitions like World of Dance & Prelude. 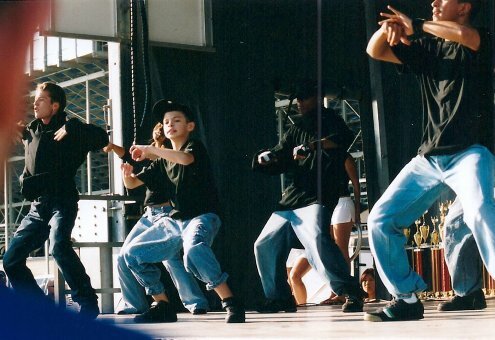 At age 15 he started to expand teaching his classes from NY to LA at the Boogiezone & Millenium. He even did backup dancing for up & coming Chicago Artists. The entire time he was working on his dance education and entertaining people he discovered the platform “Myspace” and started posting little creative videos of himself dancing to his own choreography including bits of graffiti at the end inspired by the Hip Hop legend, Mr Wiggles. Ian loved & studied film so much he decided to combine his 2 passions (Dance & Film) and began expanding his videos into full concepts on Youtube to showcase his Art. (Back in those days no one knew about “view counts” or “likes”, it was strictly to share his Artwork using the modern day technology) People loved Ian’s UNIQUE URBAN style of Dance & ability to tell a relatable story through the art form, as did many of the overseas Dance Organizers/Promoters . He was subsequently hired to teach overseas at age 16, and in the meantime caught the eye of Blake McGrath & Shannon Mather who also engaged him to teach at their amazing Dance Convention: Coastal Dance Rage. Contracted to Teach & Judge Overseas at such a young age (16) allowed Ian to train with all the Traveling American (and foreign) Choreographers, further fueling his desire to learn even more about the many Hip Hop styles and disciplines & improve upon his craft. 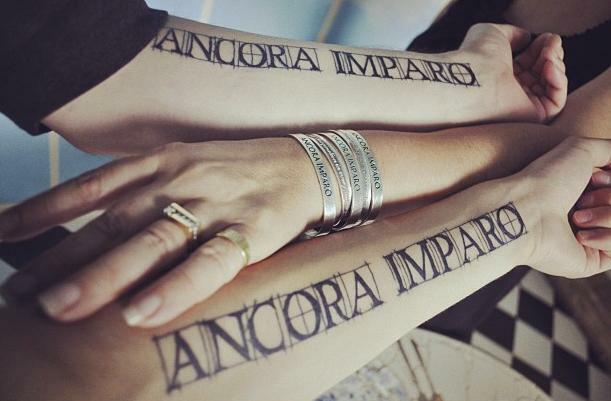 This is where he truly embraced the family’s motto: ANCORA IMPARO (said by Michelangelo, translated as: “And still I Learn” . Yet, this scenario was problematic: How does one continue to learn if they are only doing their own style? Ian was also trying to balance High School, Family, Friends, Hip Hop Crew obligations, his own show pieces for Competitions while traveling every weekend for both training & teaching as well as entire summers to teach overseas. So, once again Julia put on her entrepreneurial thinking cap…and YOUNG LIONS was born in 2009 when Ian was just 16. Julia’s notion was; Since so many organizers, promoters, studio owners, (& now even BIG conventions) were hiring Ian- why wouldn’t his own parents invest in him, too? This would allow Ian to stay home more on some weekends, be able to Train & Teach workshops in Chicago, finish his High School with honors, learn the business of his ART, how to become a young Entrepreneur, keep himself healthy (as travel is very hard on a growing boy’s body) as well as staying grounded by maintaining a great Midwestern value system & impeccable work ethic, even as many agencies were insisting he move to LA.-Ian had already done a national TV Ad at age 11 and now industry jobs were starting to emerge for him too. In 2009 Peter & Julia started hiring what they called: YOUNG LIONS : mostly the Young, Hip, Up & Coming Traveling American Choreographers who were also very hungry to improve their craft, teaching skills & who were also well known for their own urban styles of dance - the same ones he traveled with overseas: (Nick DeMoura, Tucker Barkley, Laura Edwards, Eva Bernstine, Shaun Evaristo, David Moore, Jaffar Smith, Erica Sobel, Jillian Meyers, Keone & Mari, Lyle Beniga, Lando Wilkins, Jun Quemado, Bam Martin, Jawn Ha, Tony Tzar, Brian Puspos and many more) At the same time a clothing line was born.The Eastwoods were already designing/Illustrating the artwork & producing the clothing for the dancers in Ian’s showcases (which they then gave to the dancers as a gift for performing with him) The dancers loved the clothing so much that the Eastwoods kept getting outside requests for them, so they decided to start selling the merchandise at their events. Typically, the designs would bear family philosophies as the inspired content. Each Article of clothing they Design has an important meaning behind it just as Ian’s choreography illustrates the music with movement. Peter & Julia were already designing clothing for other well known Dance Conventions/Events at the time, and the Young Lions Gear became so popular they started traveling to all events with it. Peter subsequently became Ian’s Manager, a job he had been doing informally since Ian's first gig. Meanwhile, The Chicago Young Lions Workshops were growing exponentially, attended by enthusiastic dancers from across the US -(even International students! ) - that they decided it was time take the events on the road. Currently, The Eastwoods are doing Young Lions Tours throughout the country. You can also catch them selling their merchandise along with Ian at many Dance Industry Events as well as the Conventions Ian works at, such as The Pulse on Tour and VIP. Inspiration Institute is the other brainchild of Julia & is still a work in progress… Inspiration Institute currently is part of the clothing line that encourages inspiration of all forms, but they have bigger plans to grow and manifestthis idea into something beyond their wildest Dreams. All of Julia,Peter & Ian’s artistic endeavors were born from their passions that then grew organically to incorporate all of the things they love to do . So stay tuned to see how they plan on doing that along with their talented, inspirational and very innovative son, Ian. Ian Eastwood’s Career at 25 is quite vast now… from being on TV’s Americas Best Dance Crew, Dancing with the Stars, WOD/NBC, to Choreographing & Creating Music Videos and/or Tour Choreography for Amazing Artists such as: Zendaya, Childish Gambino, Jennifer Lopez, Justin Bieber, Tori Kelly, Chance the Rapper, Vic Mensa, The Chainsmokers, Halsey, SuperDuperKyle, Lil Dicky, Marian Hill, Prettymuch, OKGO, Taemin, SHINee, EXO & several other Kpop Artists. Additional credits include: Supervising Choreographer for the Full-length Feature Movie: Breaking Through, Dancing/Acting in the movie, High Strung. Co-directing & choreographing the Music Video Sunday Candy, as well as directing the opening title sequence for NBC's The Carmichael Show, creating the 1st ever Dance Performance Act at Bonnnaroo, and his most ambitious project to date: Ian has created, choreographed, edited, performed, directed & produced "ADULTLESSONS, The World's First Dance MixTape"